According to the Food Administration of Vietnam, the rising number of patients hospitalized due to alcohol poisoning have seen before and after Tet holidays (the Lunar New Year). Amongst of them, the number of bootleg mingled with methanol accounts for 50 percent. Worse, wine not only causes poison but also risk to people’s health. 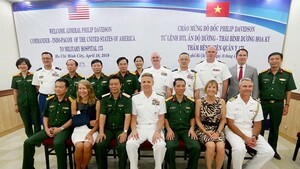 In the days near Tet, the Poison Control Center at Bach Mai Hospital in Hanoi has admitted more emergency cases. Medical workers receive three or four drunkards a day; many of whom had liquor mixed with industrial methanol whose concentration is hundred times higher than permitted resulting in patients losing their consciousness. Dr. Nguyen Trung Nguyen who is responsible for poisoning center said that lately, poisoning cases due to drinking liquor mixed with methanol are on upward trend. Most drunk patients were taken to hospitals late with serious poisoning symptoms. Through treatment procedure, medical workers said that most of patients have bootleg without clear indication of origin or liquor mingled with industrial spirit. As per the Food Administration of Vietnam’s statistic showed in five years, the country recorded 28 poisoning cases infecting 193 people and driving 179 people to hospitals. Worse, 34 people were killed in poisoning cases. In 2017 alone, 10 poisoning cases was reported with 119 infections and 115 hospitalization cases. 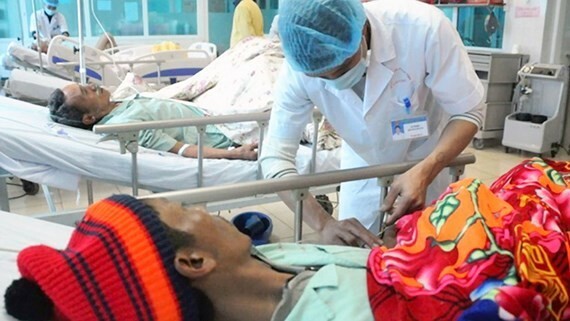 Deputy head of the administration Nguyen Hung Long said that as per a study, the rising cases of hospitalizations are seen just days before and after Tet holiday. In five years, the number of poisoning cases in these days has increased by 40-50 percent compared to previous months. Health Minister Nguyen Thi Kim Tien expressed her concern because the proportion of death due to drinking alcohol is 70 percent. The country has seen deaths because of alcohol mixed with methanol in the first days of the lunar year. Head of the administration Nguyen Thanh Phong said that poisoning cases will rise because the market still has unsafe liquor, bootleg and unoriginal products. Additionally, to earn profit, producers are willing to violate the regulation and buyers have low aware of fake liquor and local government also neglect control. Health Minister Tien said that the Ministry is amending the law of wine and be submitted it to the government in June. Moreover, the Ministry will propose alcohol tax meanwhile Mr. Phong said the Ministry and relevant agencies would strengthen supervision and issue harsh punishment on violators in wine production. At present, 328 registered big liquor manufacturers make 360 million liters of wine annually while 320 legal small manufacturers make below one million a year excluding wine made by families across the country. It is estimated by 2025, the country will have 440 million liters of wine.